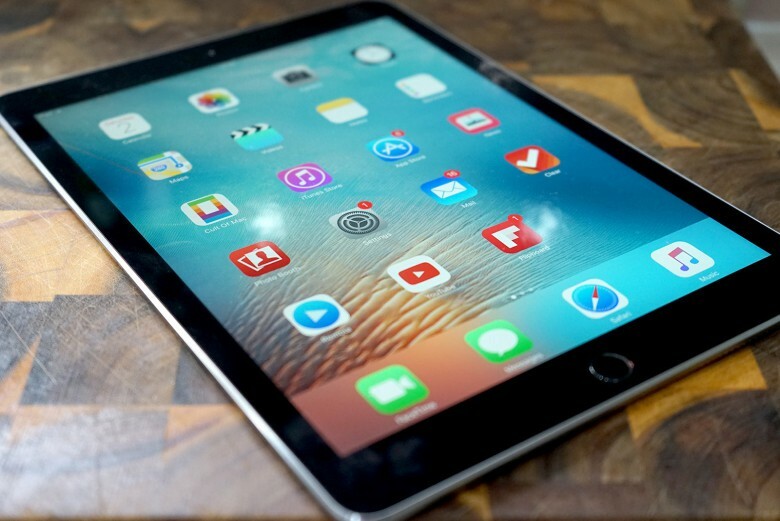 The new iPad Pro may feature smaller bezels. The Apple online store will go down for scheduled “maintenance” tomorrow morning, and while it’s offline, you might want to get your credit card ready. Recent rumors have promised Apple will launch new products this week. There are no plans for a big keynote, but there’s still a chance the Apple store will return with some sweet surprises. The maintenance, which means the Apple store will be “updated and unavailable,” will take place between midnight and 5:30 a.m. Pacific (3:00 a.m. to 8:30 a.m. Eastern). It could mean nothing more than behind-the-scenes tweaks, but that seems unlikely. When the Apple store goes down, it typically means new products are coming. It almost never goes down for any other reason. Not even “maintenance.” It’s scheduled to come back up at 8:30 a.m. Eastern, which is when Apple usually publishes its press releases. What’s more, MacRumors reported last week that it had received word from a reputable research firm that Apple will make a surprise announcement this week. It’s not clear exactly what Apple has planned, but recent speculation has hinted at a trio of new iPads. Most reports have told us not to expect those iPads until later this spring, but one suggested that the new 9.7-inch iPad Pro could arrive by itself as early as this week. Other products that have recently been rumored include a 128GB version of the iPhone SE that could replace the 64GB model, new Apple Watch bands, and a PRODUCT(RED) version of the iPhone 7. Many Macs, especially the Mac Pro, are also long overdue for a refresh. Tomorrow could bring several of these things, or none of them. What is clear is that whatever new Apple products might arrive Tuesday are not deemed significant enough to warrant their own keynote — though that doesn’t mean they won’t be exciting. Did we mention you might want to dust off your credit card? Or maybe set up Apple Pay on your Mac?